To me the word Serenity conjures anything that allows me to exhale. Sigh. Release. Relax. Be present. For me that’s nature. Living in Florida has afforded me the incredible gift of a close personal relationship with nature. We have no mountains, and rarely snow, but we have mysterious swamps and glistening white sand beaches, palm trees and pine trees and almost every kind of animal I can think of that roams in the U.S. – including buffalo. 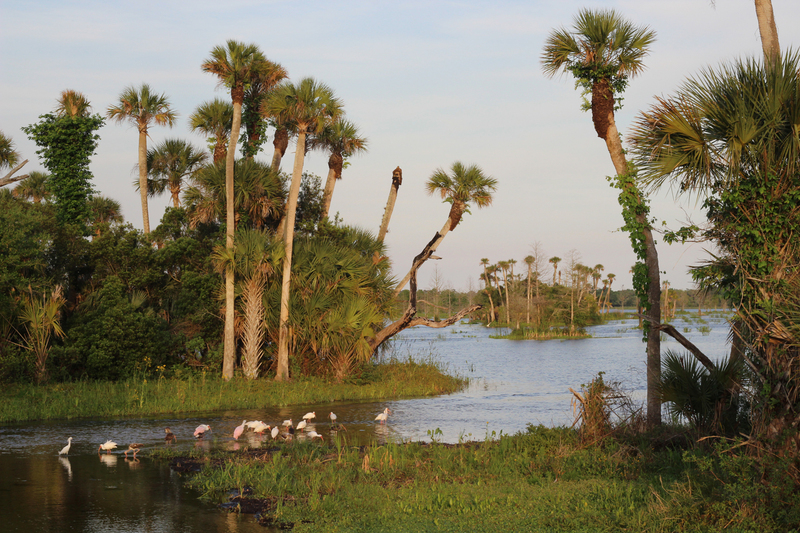 This place, Florida, natural Florida, is unassuming and kind. It’s inviting and nurturing. One moment a dragonfly is perched within arms length, begging to be photographed. The next, the eyes and snout of an alligator dip below the surface of the water without make a single ripple. Birds as tall as people and baby lizards no bigger than a piece of thread live peacefully among us. As much as I love to travel, it is always a pleasure to return to beautiful, natural, serene Florida. More perspectives on serenity here. It is a beautiful spot!! It’s only 30 minutes from my home and I go whenever I can. There’s just something magical about it.